Examples. solutions, videos, and worksheets to help Grade 5 students learn how to divide fractions and mixed numbers. How to divide mixed numbers? 1. 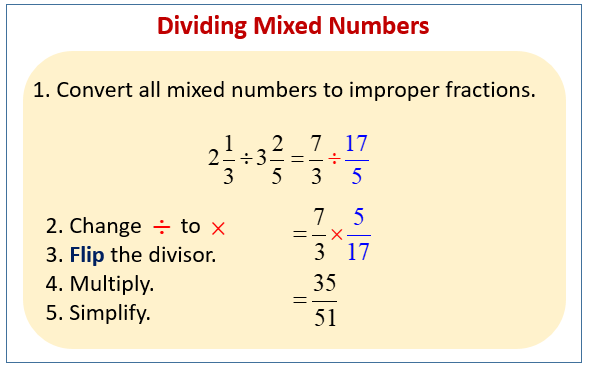 Convert all mixed numbers to improper fractions. 2. Change ÷ to ×. The following diagram gives an example of dividing mixed numbers. Scroll down the page for more examples and solutions.